HEADACHES: Can Physical Therapy help? Absolutely! The degree to its effectiveness may depend on the type of headache. There are three main types of headaches. 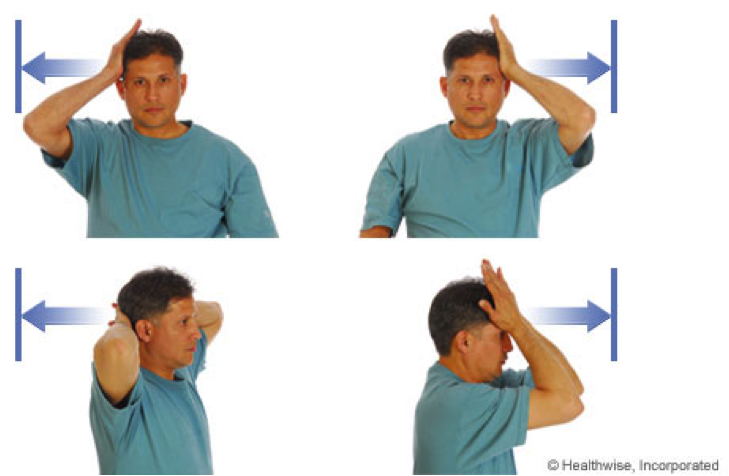 Tension: may feel like a tight band around the head, last about 30 min to 7 days, mild to moderate in intensity, can be hereditary, driven by the central nervous system, and have cervical muscular tenderness. 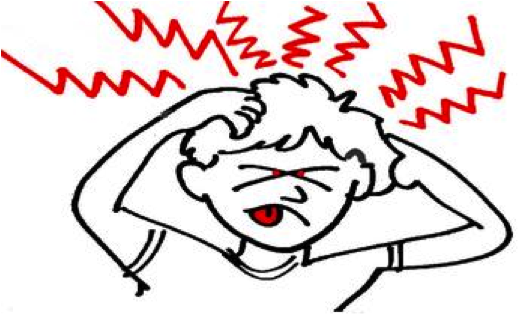 Migraine: usually one sided in adults, can be accompanied by light or sound sensitivity, cause nausea or vomiting, usually more common in females, can be disabling, may be accompanied by an aura, usually managed by medication, last between 7-24 hours, moderate to severe in intensity, aggravated by normal activity and alleviated by rest, described as throbbing, caused by central nervous system vasodilation of the brain blood vessels, can have food triggers ( chocolate, red wine, MSG, cheese, oranges, aspartame and caffeine). Cervicogenic (stems from our upper neck): usually one sided head pain that starts in the neck, is aggravated by neck movement, restricts neck range of motion, varies in intensity, and is commonly seen after trauma such as a car accident. In many cases stress and poor posture can exacerbate all three of the above headaches. The therapists at Willow Grove Physical Therapy are experts in evaluating your posture and in teaching you corrective measures. Simply stated sitting up straight with ears over shoulders and shoulders over hips with support in the low back is the best way to sit. Computer screens should be directed directly in front of you so that you do not have to look up or down or to the side to view. 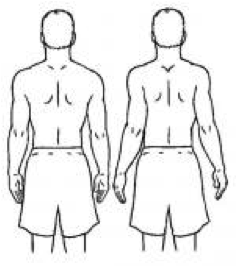 Exercises such as shoulder blade squeezes, chin tucks and neck stretching (rotation and side bending) are very beneficial. 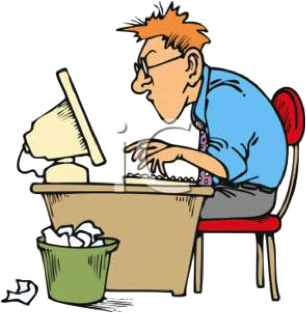 Our bodies were not designed to sit for hours on end at a computer or smart phones. 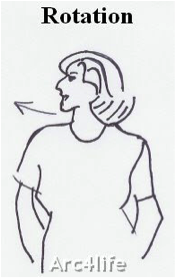 Sustained poor posture of forward head, rounded shoulders as seen in computer work and smart phone use are often the cause of headaches and neck pain. It is important that we take frequent breaks from our computer and phones to stretch out of the poor posture we often get into. Our therapists are excellent in managing cervicogenic headaches. 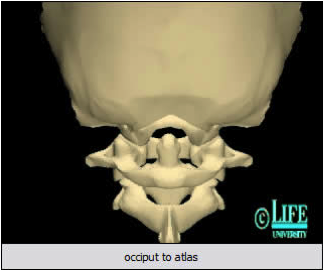 In addition to evaluating a patient’s posture we examine their upper neck or cervical spine. 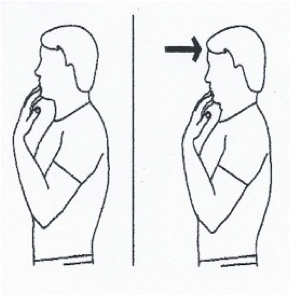 There is often restricted movement on one side of the upper neck. The therapist will measure for any restrictions of range of motion and address these through joint mobilization and passive stretching. 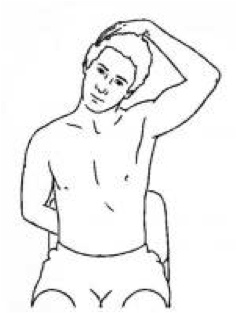 We also evaluate the patient for cervical muscle weakness and prescribe strengthening exercises for the neck. A study by Zito and Jull,Spine 2004 demonstrated that patients with a cervico genic headache had stiffness at C1 C2 (our upper cervical spine) in 80% of the subjects. This is a common area where therapists use mobilization techniques to restore normal movement which is very effective in abolishing headaches. Manual therapy is most effective in cervicogenic headaches but has also been shown to be effective for migraine and tension headaches as well. So, in conclusion if you are suffering from headaches remember that physical therapy can help. It is a drug free safe and effective way to get relief!